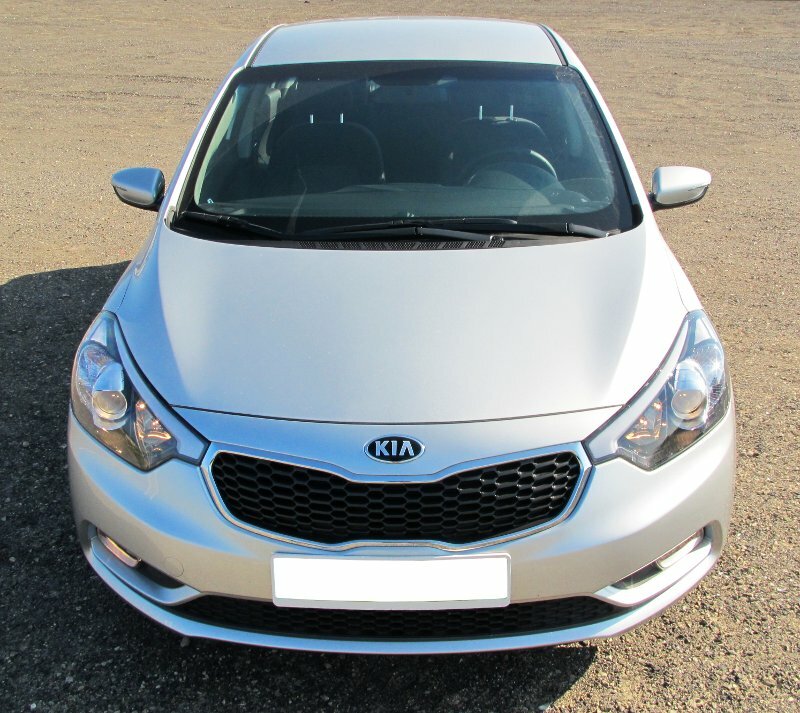 KIA Cee'd versus KIA Forte - A family duel! Writing this dual, head-on review was not a simple thing. I had to find the right owners, with the right cars, and convince them, i.e. threaten them, to relinquish them for a few moments so that I could review them and tell about my experience. 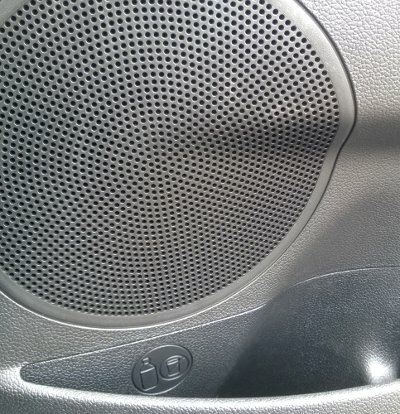 Luckily, I happened to stumble upon two hi-tech workers, both married men with offspring, poor sods, both with a dire necessity for a family car as familiar as they get. 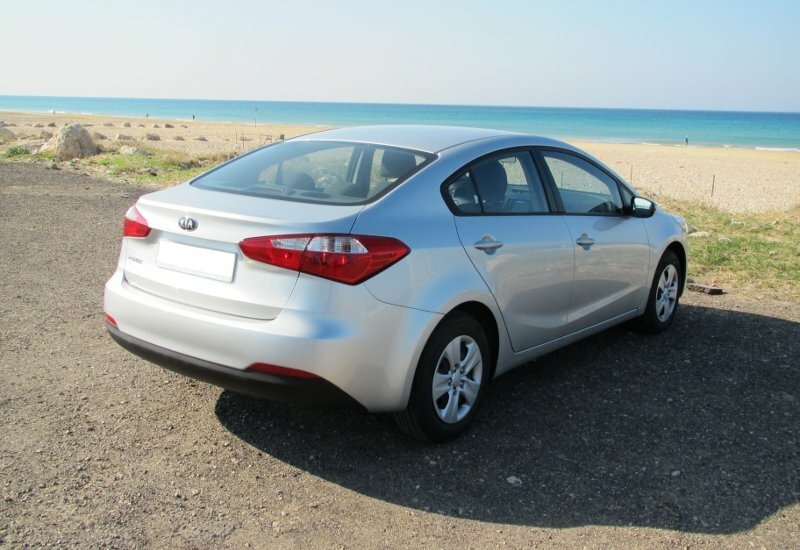 One happened to choose Cee'd Station as his baby troops carrier, while the other went for the more traditional Kia Forte saloon. And so here we are, in a first Dedoimedo same-company rivalry match, to try to estimate which of the two offers better bang for buck for the archetypical middle-class guy, whose first priority is some comfort and a bunch of boot space, with performance and alike taking a distant second place. All right, let us proceed. It's a fight! A car fight! I'm trying too hard with vintage filters, am I not? 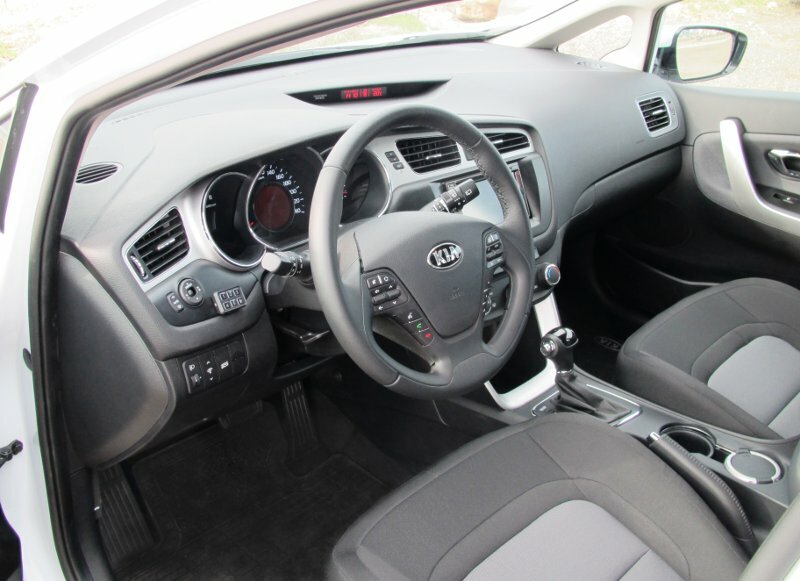 KIA has undergone a revolution in recent years. Once considered a middling-quality el-cheapo alternative for European manufacturers, it has worked hard on improving its image, as well as the reliability and quality of its cars. Today, it is a serious player in the compact to mid-size categories, offering a rather respectable seven years of warranty on all its models. Then, it's been reaping awards and accolades everywhere. 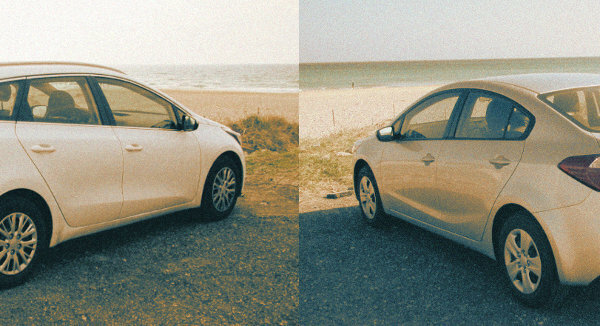 KIA Cee'd has been its most successful attempt at shattering the old bias. Cee'd is a car designed specifically for the European market, with European standards, built in Slovakia. 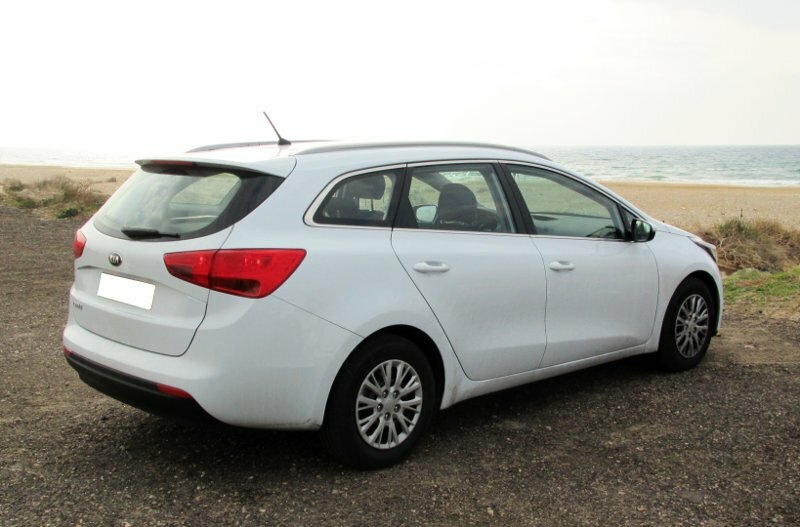 It comes as a three- or five-door hatchback and estate, with a range of engines and both types of transmission. All in all, it has made quite a hail storm in the category owned by the likes of Focus, Megane, Astra and friends. Oh surely, let us not forget that it has also been selected as the Reasonably Priced Car with the Top Gear team. There's a bonus achievement. Our test version comes with a 1.6-liter GDI engine, which delivers 140 HP and 167 Nm of torque at relatively high 4,800 rpm. It is equipped with a six-speed automatic gearbox, but you get both the floor selector and two flappy paddles behind the steering wheel. 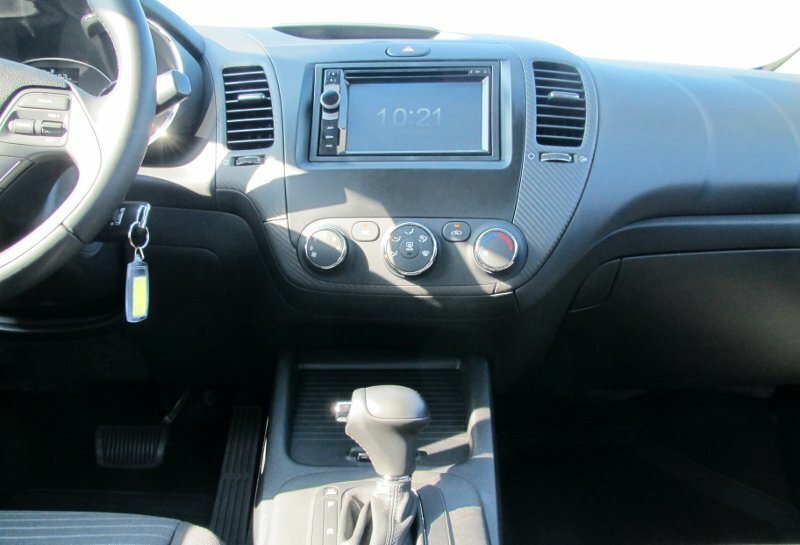 The standard equipment includes climate control, single zone only, a local market touch-screen multimedia system that, regretfully, replaces the original unit, no ragrets, eh, media controls on the steering column, and four electric windows. Speaking of steering, a recurring word in this paragraph, there are three hardness settings available, each one firming up the feel and precision of the rack. Forte is a different kind of breed. It is marketed mostly in the Asian and South American markets, where sedans are more highly appreciated than hatchbacks. In a sense, it is unto Cee'd as Jetta is unto Golf, although similarities are less than with the Volkswagen pair. 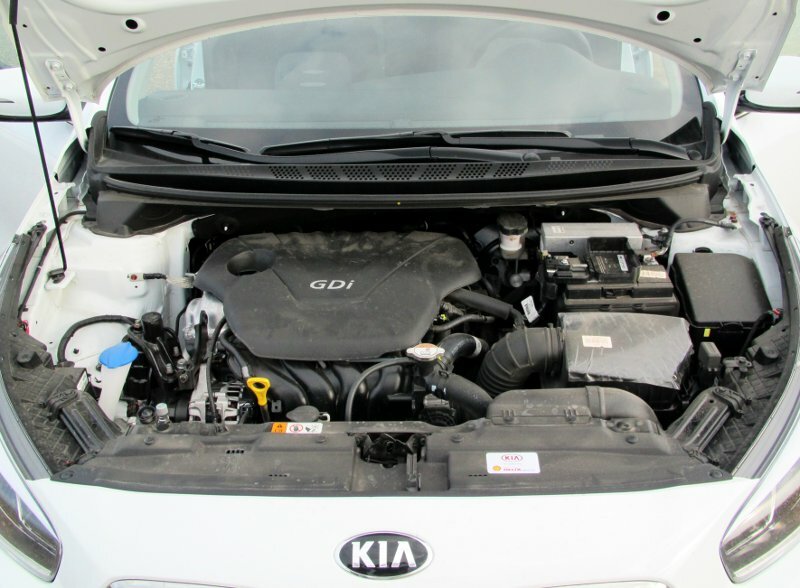 To our great luck, Forte also comes armed with the same GDI engine, so the specs are identical in that sense. However, you do not get any paddles for your six-speed auto-box, just the usual floor thingie, with the ability to manually change gears in order to pretend to be a big boy and imagine you're driving a real, proper manual. 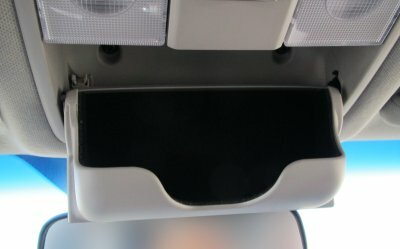 The standard list of accessories is similar to the shorter relative, with the exception of a sunglass holder above the rear view mirror, present in Forte and absent in Cee'd. The multimedia system is also different, running some kind of Android, locally installed. Prettier than the other one. I really wonder how people get to dirty their engine bays so well. Must be a parenting flaw. We will soon touch upon all the little details that make these two cars apart, but it surely is not the price, at a relatively moderate, or shall we say, hugely expensive, USD34,000. Now, for Europeans, this is the norm, and for Americans, this is outrage. But that's life, friends. We will begin with a tailless model. Cee'd is fairly pretty car. Chunky yet sleek. The front end looks like a smug shark, which has just eaten a big fat eel. The lights are pulled back as if expecting a cosmic surgery, and the grille has its own downturn frown, which adds character. The side profile is really nice, although the standard tires and alloys could be a little bigger. The rear is kind of fat, but the light angle and the curve of the rear window create the necessary illusion of grace. Nice, chunky lines; very decent. Why is that estate always looks better than everything else? Smile, it's the Shark Week. Because of the availability of our two engineers, we could not take photos on the same day. Thus, we had more ideal conditions for Cee'd, with clouds and whatnot, and Forte had to endure sun and glare. Still, it adds charm of its own, don't you think. You will also notice that the Forte owner keeps his car cleaner. 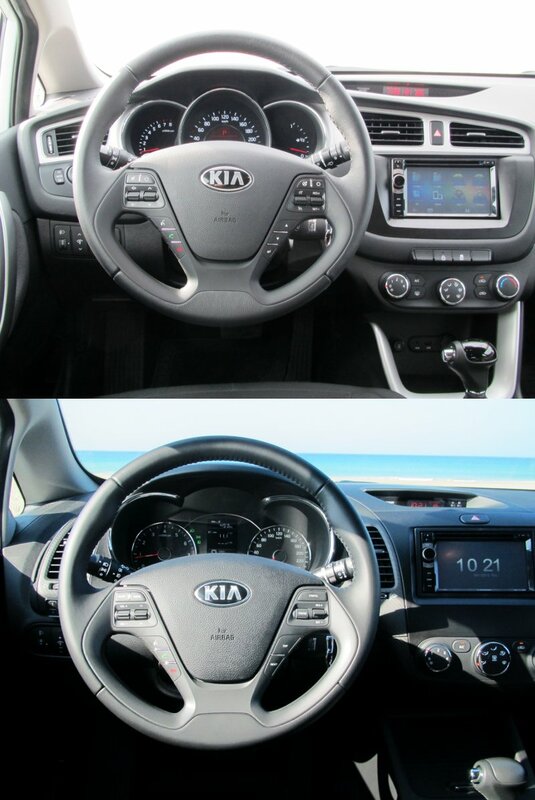 Anyhow, KIA Forte has a similar character to Cee'd. However, the front end is meeker, friendlier, with less sharpness and meanness. But you do realize instantly that it's a product of the same company, and that instant recognizability is critical. From other angles, Forte looks more conservative, but it's still a decent model. The rear end disappoints a little, feeling somewhat outdated. In fact, the front and rear ends seem to belong to two different eras of style and grace. The silver-champagne color is a better match than pure white, though. Holds its own against the station wagon pretty well. On the inside, there's more divergence still. You would assume the two cars would have identical cockpits, which is not the case. Some details remain the same, drawing on that familiarity and brand, but otherwise, the two layouts could have been installed by two different manufacturers. I was surprised by the relative tidiness, despite the fact both owners have small, runny, smelly toddlers polluting the premises. I did take them to a wash, not, wore latex gloves and rinsed myself with lye, just in case. You can never know. Kids. Following its traditional mantra, Forte has a more classique cabin. Less angles, less drama. 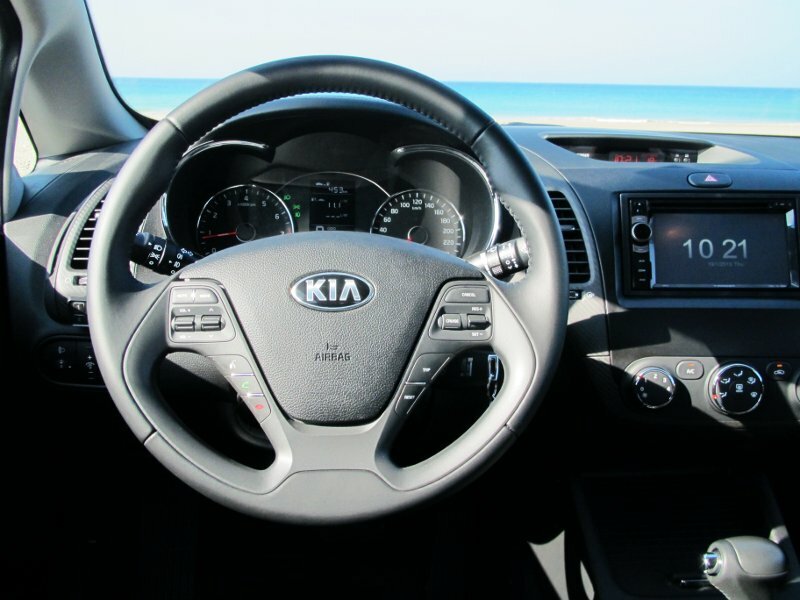 The steering wheel is relatively small, with a precise feel. The control buttons are all easily accessible. The gear lever is designed with old school bulkiness, and it falls short of the joystick-like appliance used for VW Group DSG. If you glimpse into the cabin from the outside, you will not have a moment of doubt whether it's auto or manual whereas you might have a flutter of indecision when checking out some of the European counterparts. 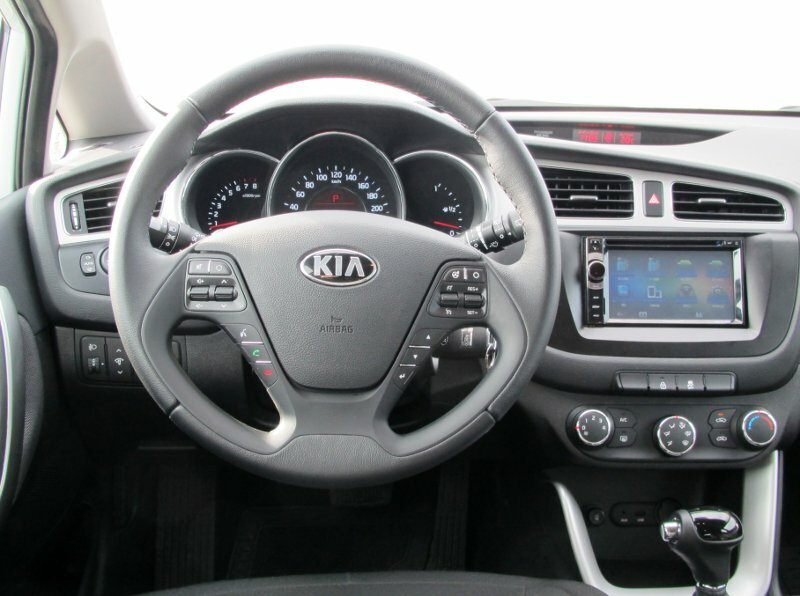 Solid design, the steering wheel is supple and fun to grip. There is a handy cubby for personal things at the bottom of the central console, and it comes with a shutter that hides away the unnecessary details. The seats are covered with a boring striped fabric, and they don't offer that much lateral grip. Most of the plastic is soft, but there are a quite a few hard components. A healthy dose of gadgets, but don't exaggerate it. Cee'd has a more modern interior. More aggressive, more European, in a sense. It can be a little drab, when you consider all the gray surfaces, but the plastic yardage is more fun to the touch, and you feel like a perv by stroking it too often, the plastic, right. Seats also offer better support, and they are covered in nice sheets of cloth. Designed with the Euro man in mind. You can tell the brand, a little more gadgety than Forte. Unlike Forte, Cee'd gives you flappy paddles, but the downside of this arrangement is that the wiper and turning light stalks are positioned too far ahead, and you have to sort of stretch your fingers to activate them, loosening your grip on the steering wheel. This is not the ideal layout, and it can disturb the fine finger movement on the aforementioned paddles. Comparison shots are always cool. When it comes to finer details, both these vehicles have their ups and down. Both will show you time, date and external temperature on a recessed LCD monitor above the central console, but Forte will also give you a small storage space for your Top Gun Aviator's glasses. Not a biggie, though. Nothing beats sea photos; on the right, where you keep your perverticles. You also get some rather Captain Obvious markings here and there, for example, if you ever wondered what those door holes are really meant for. Laptops? Nope. Children? No. Bottles and such? Yes. But no cups! Golly. Thank you for that. Really helpful. Flappy paddles, good; bottle and cup marking, what? Why? 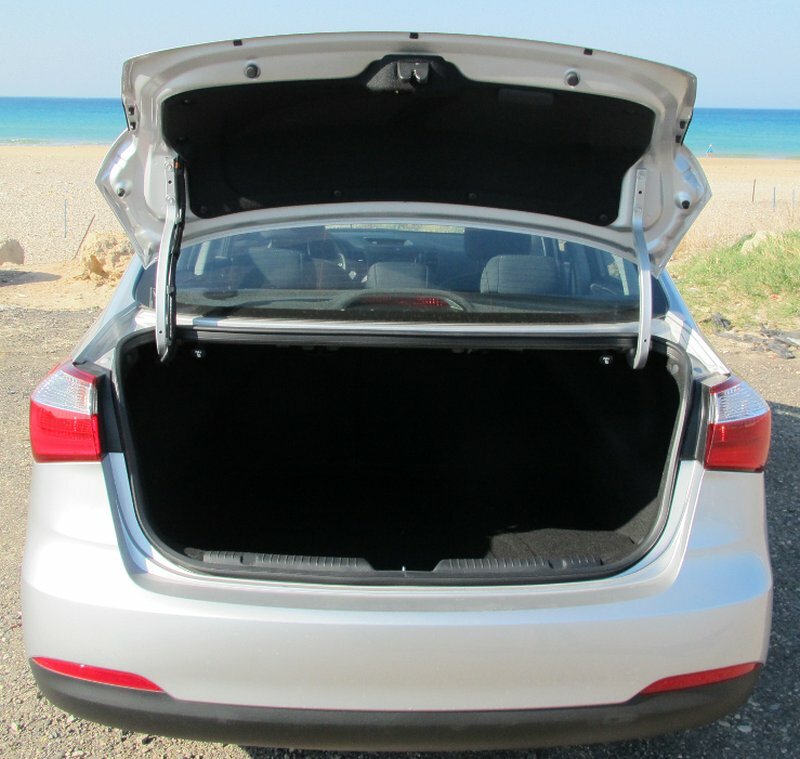 For those with children and such, the boot space might be a very important factor. Well, some would probably say, let's go with the station, because it must offer more volume. The truth is, I could not spot any great difference without consulting the spec sheet. For all practical purposes, both are rather adequate. Family stuffs go here. Pennywise, courtesy of memegenerator.net. More family stuffs go here. Now, we get to the really interesting part. How do these two cars drive? Well, you must remember that I rather abhor automatic transmissions, because they can't really match the fun and quality of driving with your both healthy legs. Even DSG, no matter how advanced, is not as good as a talented driver. Only on really powerful and luxurious vehicles like Audi A6, with enough torque to tug buildings, does it make sense to install computerized controllers for the clutch and whatnot. Anyhow, let's talk about Cee'd first. It drove fine. Despite fairly mediocre 195/65 R 15 tires, it cornered well and with precision. The overall grippiness is good, and the comfort is decent, with little road pestology migrating to your kidneys. Using the flappy paddles is really fun, both in the standard D and the more sportish S modes. However, on the same note, the automatic gearbox is a letdown. It's just not smart or quick enough to keep up with a good driver's whims. If you're driving slowly and want to floor it, the box may take as long as a full second or two before it responds. Like any typical auto, it will often scream and rev too much, without any great effect on your forward acceleration. Near the red line, it will do whatever it wants. In the end, your sprints to any desired speed will not be anything spectacular. 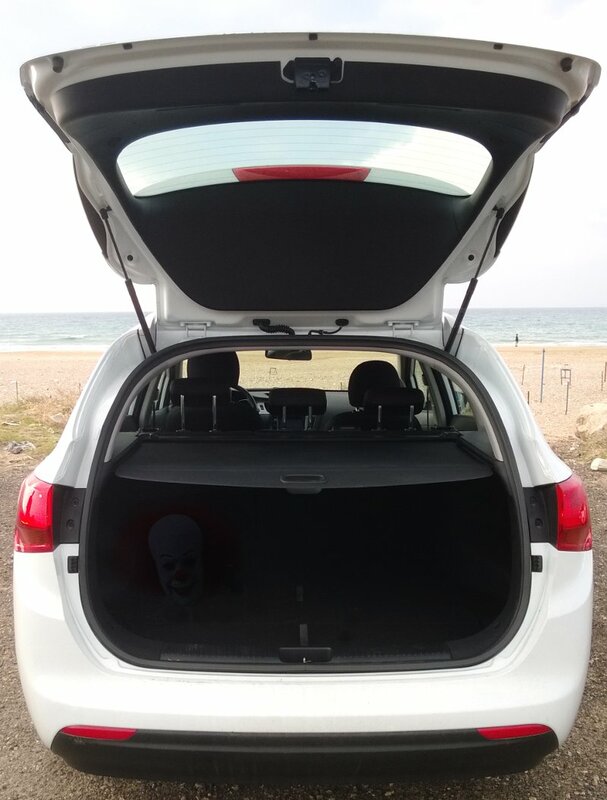 Remember, it's a family car. Automotive dissembling - the act of pretending to be more than you are, i.e. a sports car driver. Still, I could not not feel slightly disappointed. I was expected more of a rogue character, and whenever you get the flappies, it has to mean something, no? All that said, I must reserve this review quite a bit, because I had the car for only a brief time, a handful of kilometers in urban setting and some highway. 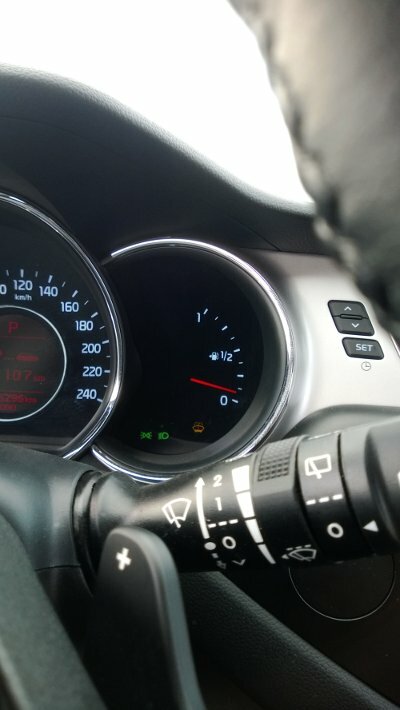 Therefore, it would be foolish of me to talk about fuel efficiency or long-term impressions. And again, I go back to the GDI engine. The torque value is pretty good, but it does not come to bear in any meaningful way. For comparison, Audi A1, which we tested a while back, comes with less horses and a bit more torque, but it is infinitely livelier and snappier in every sense. You touch the gas pedal, and it responds, right there, immediately. So much for auto versus manual. Surprisingly, Forte is a better road runner, really. Despite having the same thingie powering it, the auto was more intelligent for some reason. Talking to the owner, he told me it was the computer firmware being smarter than the one in Cee'd. And there was a mention of robotic versus pure auto, although I could not find anything solid in the brochure. Whatever it was, Forte shifted more eagerly, with less delays, even though it had no fancy paddles near the steering wheel. And when I say less, they were still there, but not as noticeable. 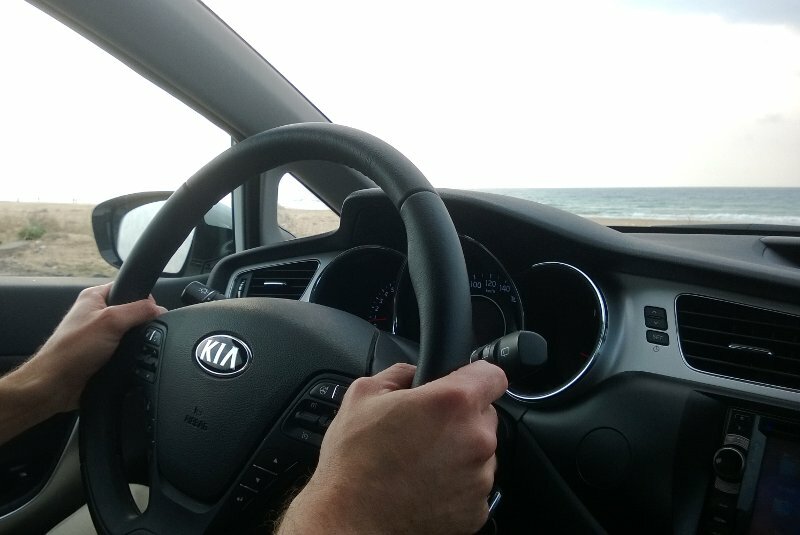 As a result, KIA Forte did better dashes, more eagerly, even though it feels more tail-happy and less precise in tight corners. Both these cars are very new. Cee'd has clocked only 5,300 km, whereas Forte has covered less than a thousand, which means it's still expanding its bronchi. 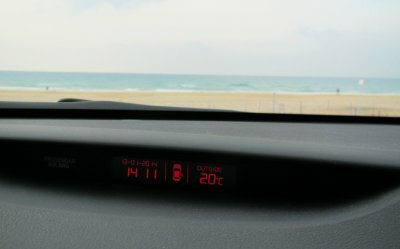 The official fuel figures on the digital displays of either family carrier won't tell us much, because the cars are mostly driven around the town, with a plenty of air con and child vomit. Well, the owners swear there have been none. So far, we believe them. Now comes the complicated question. 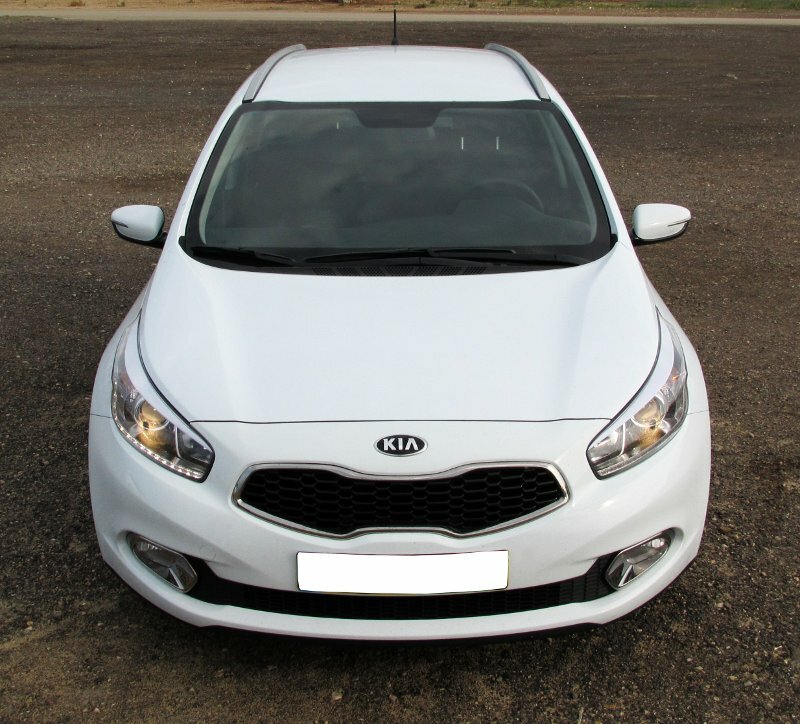 Given the almost identical budget, and permitting market availability, plus your overall inclination to go for standard family cars with no preference toward hatchbacks or sedans, and having settled on KIA as the potential marque, which of these two models, Cee'd or Forte makes more sense to the family man? And we can ignore the auto-box from the equation, for now. The second complicated question is, should you prefer either of these two over the similarly priced and equipped rivals, hailing from the same and other continents? The list is long, the margins are tight, and everyone has a media player that will chirp to the tune of MP3 files. Safety, aircon, all that, almost too identical to be fun. Well, basing my opinion on the short stint here, I think Cee'd is a better choice, despite the less enthusing drive experience. It's not meant to be a sports car or even close, so if you want something punchy, perhaps you might want to go for SEAT Leon. Thus, with a slightly more appealing visual and interior package on the whole, it is a tad ahead of Forte. Now, to answer the second item, maybe not yet. For instance, I liked Jetta more. But just recall where KIA was a decade ago and extrapolate. Cee'd: 7.5/10, Forte: 7/10. We're done.